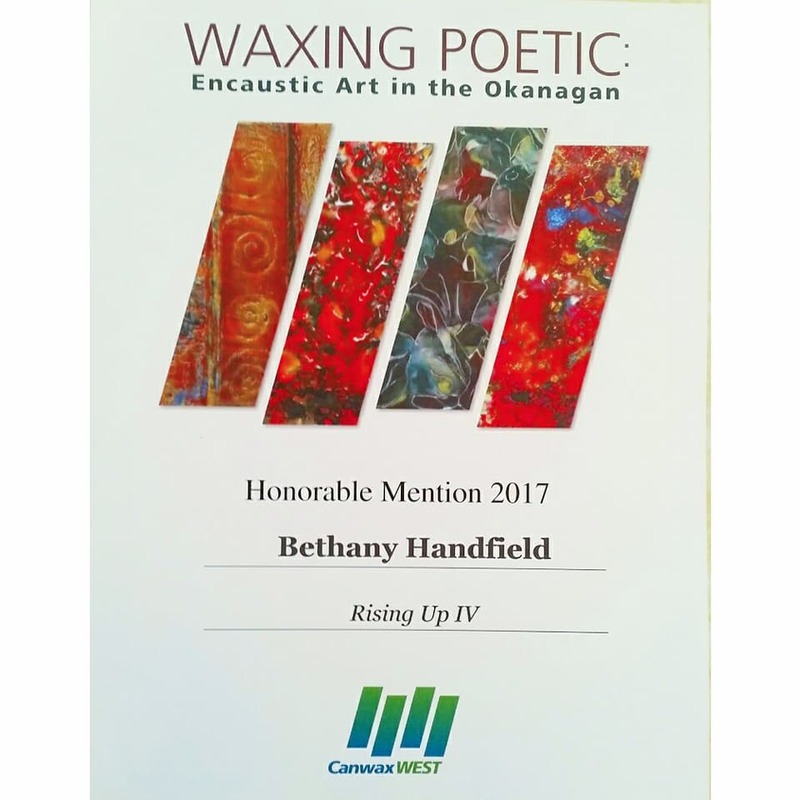 I was thrilled to receive an Honourable Mention at this year's CanwaxWest Waxing Poetic exhibition in Penticton, BC for my painting Rising Up IV. It is one of my favourites and it was so lovely to know that others liked it too. This exhibition is always an incredible opportunity to see how artists from across Western Canada are working in encaustic. It was extremely varied in style and content. I look forward to next year's showing. The Ripoffs are at it again! At it again, we "rip off" Sir John A. McDonald, Canadian history, every Canadian artist you ever heard of (and some you haven't), even old currency, and manage to have a great time while we do it! Featuring a group of local artists who create in a variety of styles working live at the Quail’s Nest in Oliver, BC. Opening reception Monday July 10 at 6 pm with a Confederation high tea. We are "ripping off" Canadian artists this time and I am excited to have Maud Lewis as my subject. I am a little obsessed with her cats! I will be recreating the $10 bill in her style and in encaustic. This will be a very interesting challenge for me as the $10 bill is quite detailed but Maud's paintings are deliciously simple.